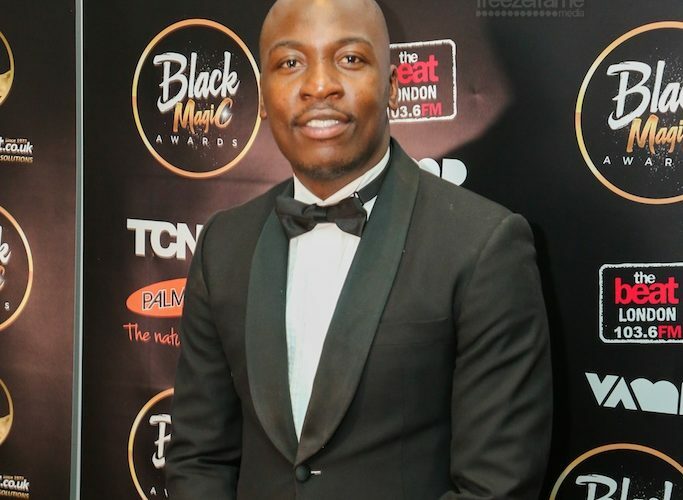 Last weekend saw the first annual Black Magic Awards take place, the first award show of it’s kind to celebrate the achievements of women who have contributed to black entertainment, business, sport and the community and hosting the event was off course none other than the ridiculously hilarious Eddie Kadi. The event which took place at Hackney Empire and was sponsored by Palmer’s saw 12 inspirational women being honoured and performances from the likes of MOBO Award winning singers Rachel Kerr and Lurine Cato, 8-year-old viral dance sensation Princess K and a guest appearance from model Munroe Bergdrof and rapper Stormzy. 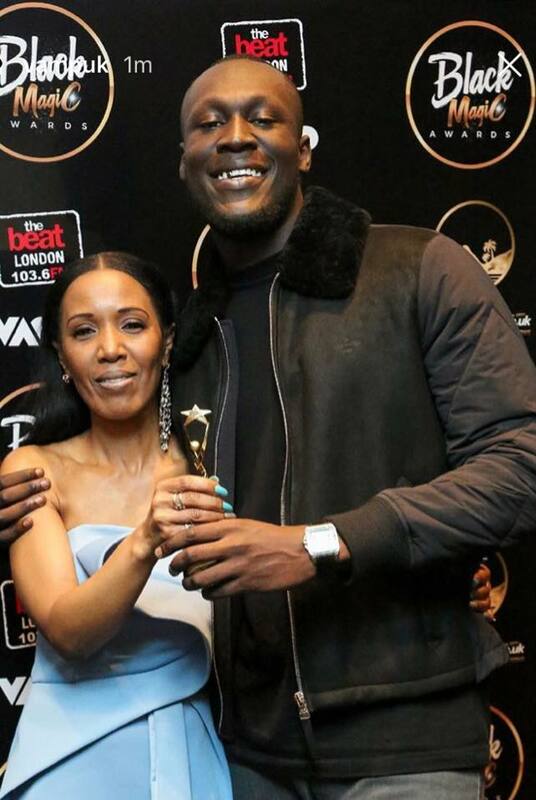 One of the highlights of the evening was legendary radio DJ Jenny Francis being presented her award by GQ man of the year, rapper Stormzy. He expressed “A childhood hero to so many of us, introduced me to R&B as a kid. 27 years of radio, more than deserved”. Hollyoaks’ Duyane Boachie presented the Actress award to Coronation Street and Waterloo Road star Angela Griffin and Casulty star Charles Venn presented the Media Mogul Award to GQ Publisher Vanessa Kingori MBE. 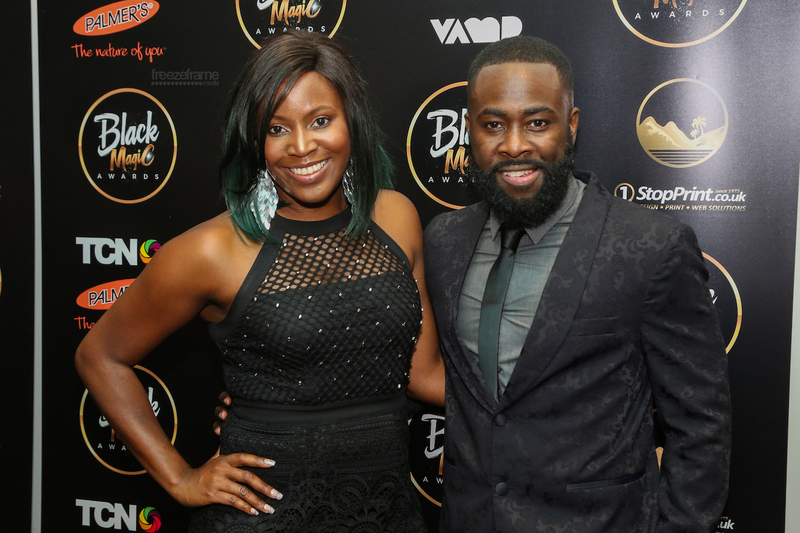 Others in attendance and gracing the black carpet on the night included; Actors Fab Santino, Femi Oyeniran and Adam Deacon, music talent The Katanas, Magic FM’s Angie Greaves, Big Brother personalities Deborah Agboola and Hannah Agboola plus many more. 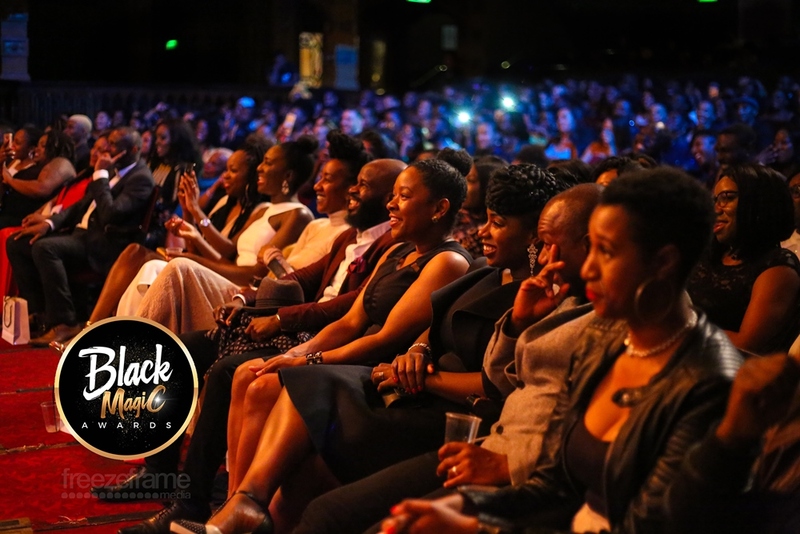 The Black Magic Awards show was organised by The Colour Network and will provide honours to women from the scene that they have served well and celebrate their illustrious talents yearly. 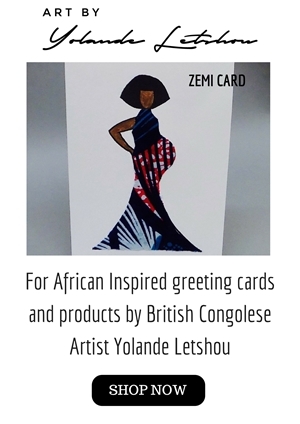 To continue the legacy on the run up to the 2018 event The Colour Network will release a monthly Black Magic podcast to continue to spotlight the strengths and triumphs of these amazing women.